We are each blessed with gifts and talents. These talents we possess are to be cultivated and used in a life of true service, driven by purpose. It would be a crime to sit on these gifts or only use them for selfish gain. I say all this to say: If you’re a designer and you’re not helping your friend brand their brand spanking new podcast, then what are you doing? My creative writer/storyteller TJ Tooley had an idea for a podcast called For The Love of Story and he wanted my assistance in helping bring the visual identity of it to life. I am always thrilled to be able to help friends in their creative pursuits in any way possible. 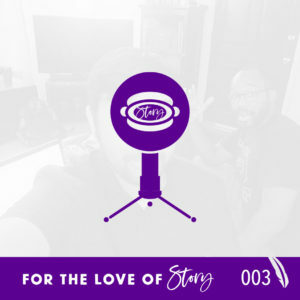 The For The Love of Story podcast is a show where TJ takes you through his writing process, reads his creative work, discusses the stories of his life and the lives of others, and more! The process of building the brand started with some dry erase markers and a whiteboard. We talked about what the podcast concept would be and how he wanted that visual represented. 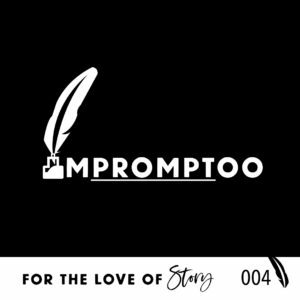 The main For The Love of Story logo is a result from that conversation. The quill, the representation of the writer, is what we build the identity around. The custom quill I drew in Adobe Illustrator was the first element created for the podcast. With the text, I had the idea to have the name of the podcast going down the left side of the logo. In the name, I knew STORY was the most important part so I had that written out in a cursive and connected it with the quill to make it seem like it was written with it. With the main logo designed, we began discussing the different segments on the show. TJ had the plan to have different categories of episodes, allowing him to express the mission of the show is diverse ways. Thus far, the podcast episode types have included Yours Truly (personal tales and perspective of TJ), Impromptoo (TJ reads a short story he has written based on a writing prompt), and Story Time (TJ interviews people and invites them to tell a personal story of their own). Each different type of episode has its own logo that I crafted to help him promote the show in a unique way. 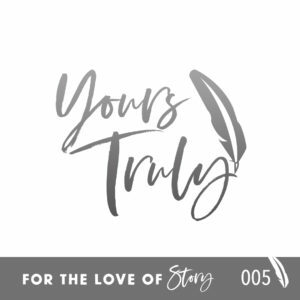 Yours Truly has the text written in the same font as “Story” from the main logo with the quill connection. 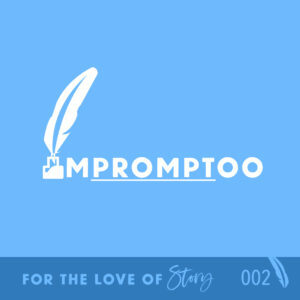 Impromptoo features the quill standing in as the captial I and the word PROMPT featured with an underline. For Story Time, I actually illustrated the very microphone TJ has been using to record his podcast, the Blue Snowball. There are more segments to be revealed in the future. This project is a fun one. I’m proud of TJ jumping into the podcasting life and sharing his creative brain with the world. 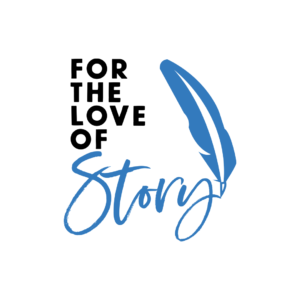 Be sure to listen and subscribe to the For The Love of Story podcast wherever you get your podcasts! 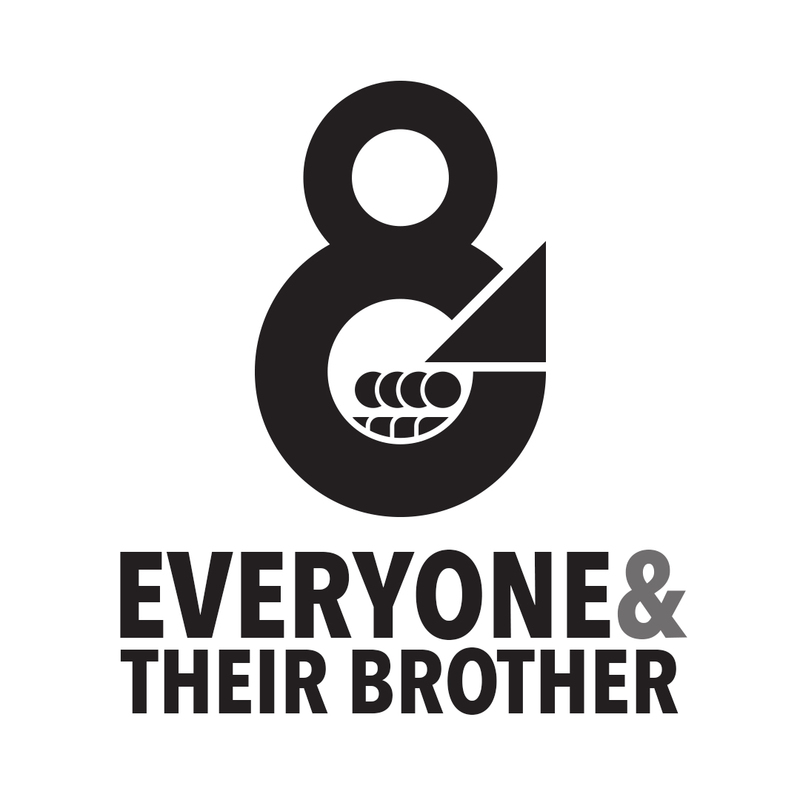 The Everyone And Their Brother logo design was a labor of love and the result of a fun journey amongst friends. 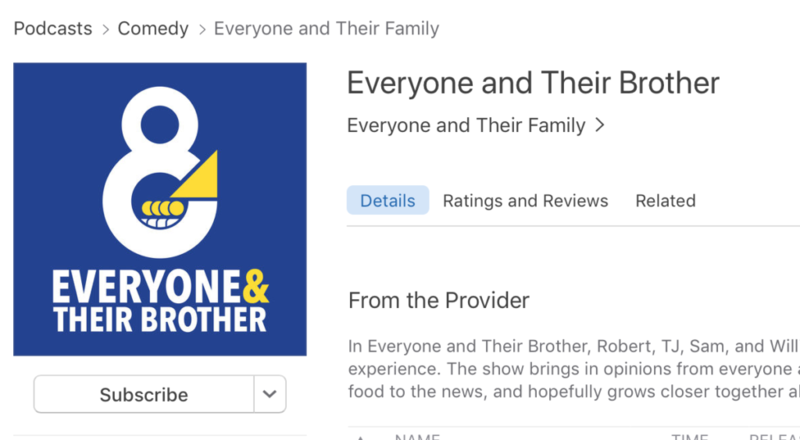 Everyone And Their Brother is a new comedy podcast where four friends invite listeners to share in their “conversations around a family dinner table” experience. My friend TJ and I were invited by our friend and pro podcaster William to join him and his brother on a new podcast, a new adventure. So, being the graphic designer of the group, I already had ideas in my head for the branding for our podcast. The central idea surrounds the ampersand. 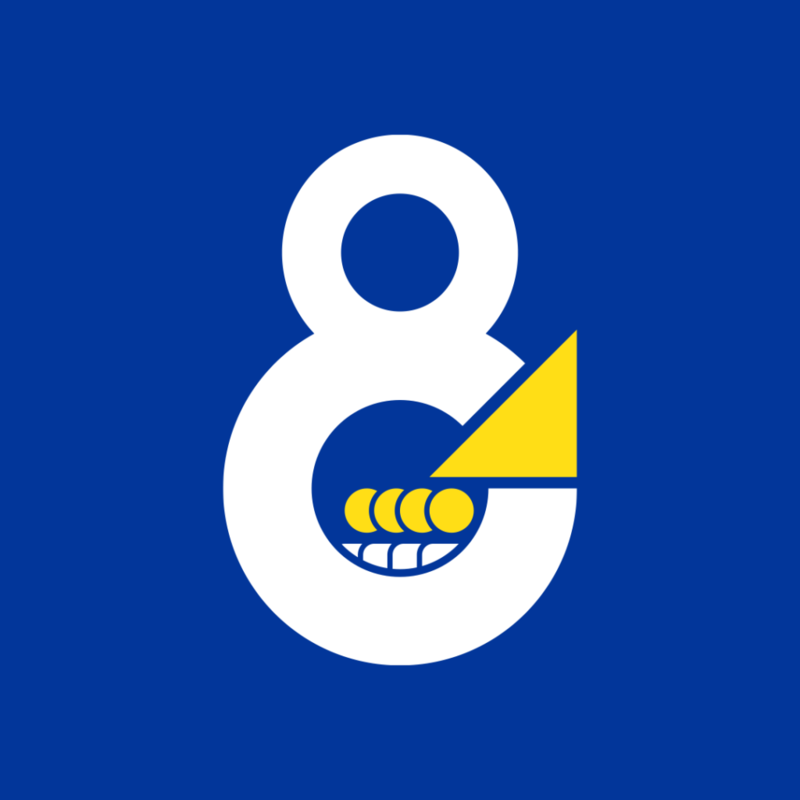 In Adobe Illustrator, I made an ampersand using two simple circles. I made a cut in the bottom circle, with my BFF “Divide Objects Below”. The ampersand represents the “and” in the name as well as the collaborative effort of the project. The podcast is built so that, as long as there are multiple hosts available, an episode can be recorded. We also plan on inviting guests to join the party. On the inside of the homemade ampersand, you’ll find four circles and shoulder shapes. This obviously represents the four founders of the podcast. Each of us bring something special to the table and I wanted that represented. However the podcast evolves, I want the logo to reflect its origin. This shape represents us speaking and broadcasting through the podcast. It is as if we are shouting through the ampersand. We are giving the world our opinions on many things. Sweet, precious opinions being recorded and made available to the masses. I made the logo shape in black and white first, as I always do. Then I applied color to it after the shape was approved. I chose the colors blue and white with a classic touch of gold. The colors were chosen on purpose. It refers to Kappa Kappa Psi, a fraternity in which all four of us are members. After finalizing the logo, I made graphics to serve as our avatar on iTunes and other podcast outlets as well as social media. I also formatted the logo and text for our cover photo for our Twitter and Facebook pages. This logo was fun to come up with and the podcast has been a blast to be a part of. The Great American Bromance of Barack Obama and Joe Biden deserves a podcast and I believe I have the logo it needs. The parade of memes and captured moments between these two has provided us with much entertainment and joy for 8 years. 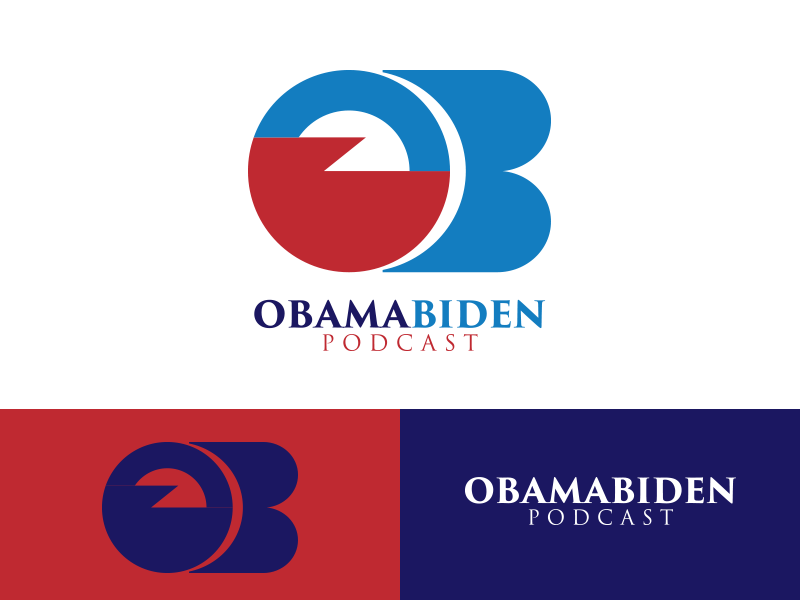 As their time in The White House came to an end, I had the idea to create the branding for the podcast that we need in our lives.